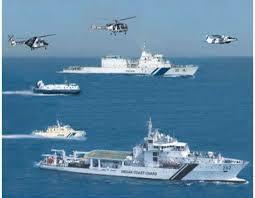 The Indian Navy has started the application process for the Navy Yantrik Recruitment 2019. If you have a Mechanical, Telecommunication, Electronics, and Electrical engineering diploma you are eligible to apply. All the applicants who pass the eligibility criteria are eligible to apply through the Indian Navy Job Portal. The final date of submissions of applications is on February 21, 2019, before 5 pm. All the applicants that will be chosen for the recruitment will start to get their admit cards from March 5, 2019. The admit cards will be available for printing by March 5, 2019. The admit cards are going to be available for downloading till March 15, 2019. Candidates will go through 3 tests which are the Physical Fitness Test, Medical test, and Written test before they get selected. One thing you every applicant should keep in mind is that if you will apply more than once, this will disqualify you. All the applicants must upload their photograph and signature in a jpeg format with an image quality of 200 dpi. The size of the photo and signature should be only between 10kb-40kb, or 10 kb-30kb each. Applicants must also enter a working cellphone number and email ID when they fill up their form, they should make sure that they don’t change their email ID or cellphone number during the recruitment process, especially if you have submitted the application form. During the appearance for the selection test, the applicant must bring all original statement of their marks, certificates, and 2 attested photocopies of each.